As a dedicated vintage Christmas decor hoarder that has attended one too many flea markets and tag sales over the years, I have too much stuff. I’m always looking for ways… display at least some of my treasured pieces without cluttering up too much and still retaining the elegant look that I love. This is something that you’ve seen before I’m sure…and I’ve been doing for years now with a little twist. 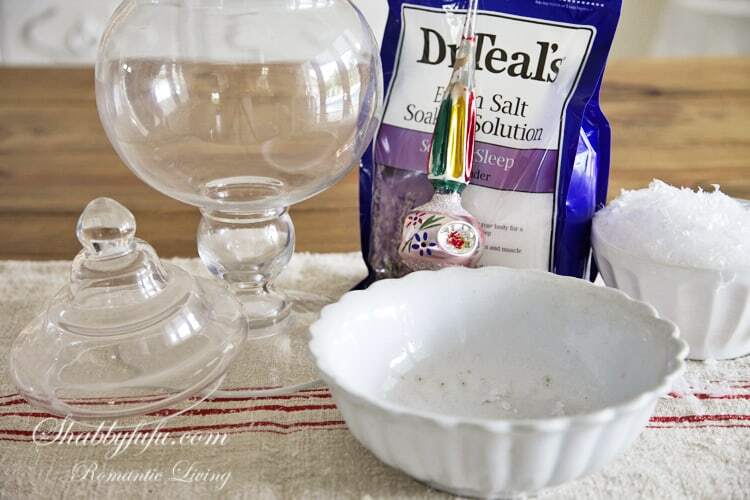 Creating faux snow that smells good to boot! 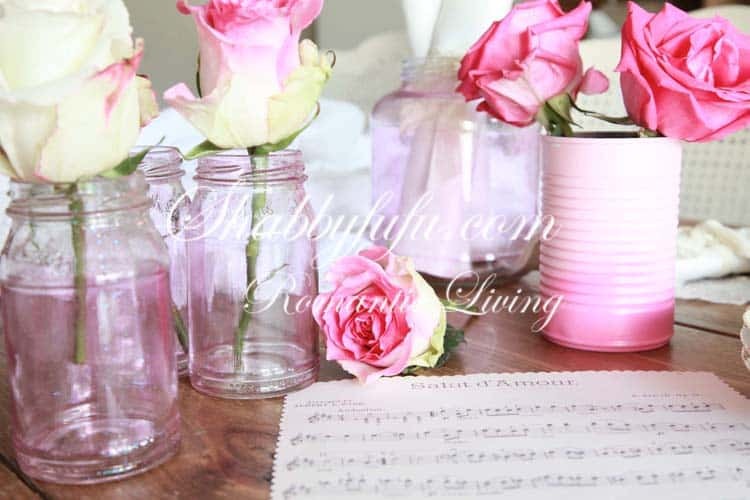 Glass jars suited to the size of what you are planning to display. I love apothecary jars and Mason jars. 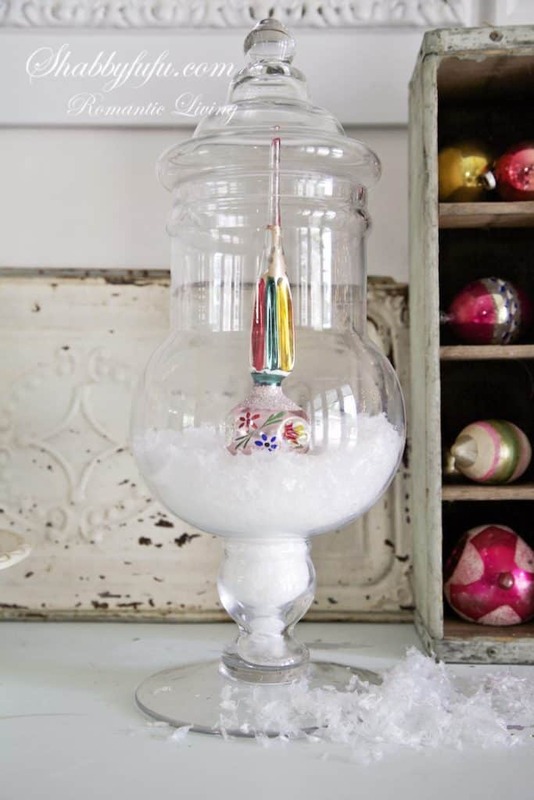 A variety of collectible pieces to add to those jars to create your mini vignette. My “twist” is the Dr Teal’s Epsom Salt with the lavender scent. It’s a bit more pricey than the other generic epsom salts, but the smell is heavenly and they do have other scents as well. 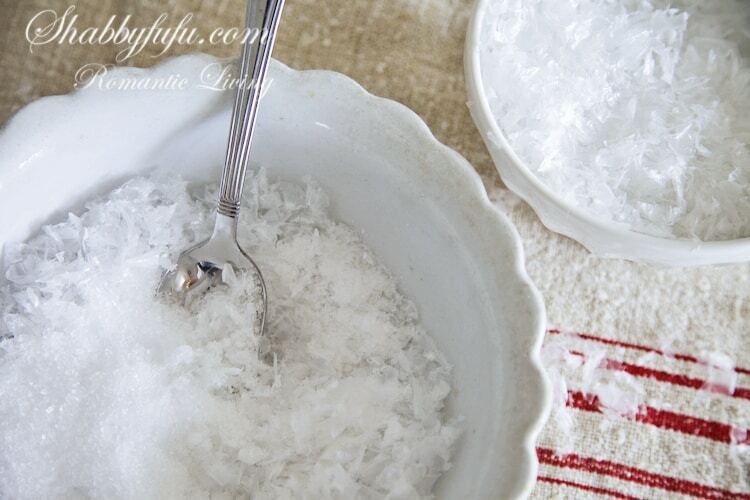 The mixing proportion that I like is about 80% faux snow and 20% epsom salt. The salt gives weight and will grab your collectibles to hold in place better than if you just use snow solo. Large apothecary with a vintage German glass tree topper. There are only so many that you can use on a tree, but I have several and want to put them out for display. The dining room buffet, which will change every few days over the holidays! I have displayed a vintage plastic reindeer in this jar, along with a mini bottle brush tree and some bits of broken off vintage mercury glass beaded strands. Although the jar is new, the lid is old and I added some glitter to the top.I painted a bunch of jars last Valentine’s Day using the simple method of Modge Podge with a few drops of red food coloring mixed in. 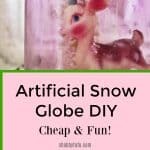 Artificial snow globe tutorial that was fun and easy! Une très jolie publication… Tout en douceur. Hi, I just found you at Kris's blog. What an amazing lady you are! I think you are living my dream. lol! 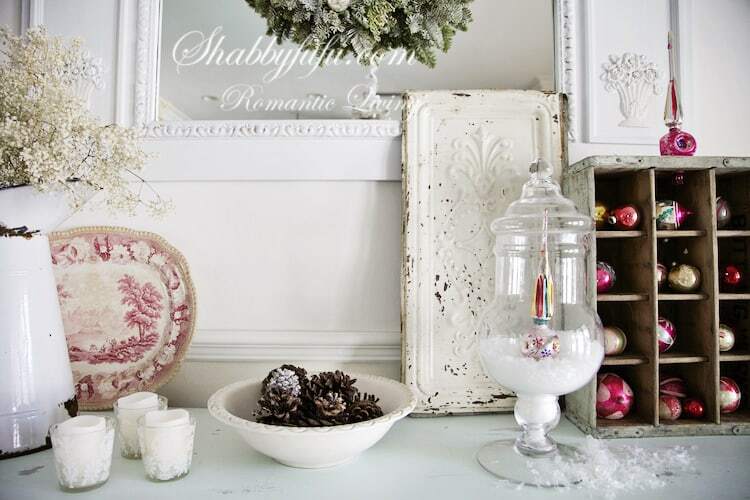 Love your style and enjoyed reading about your journey at Junk Chic Cottage. What a beautiful idea! 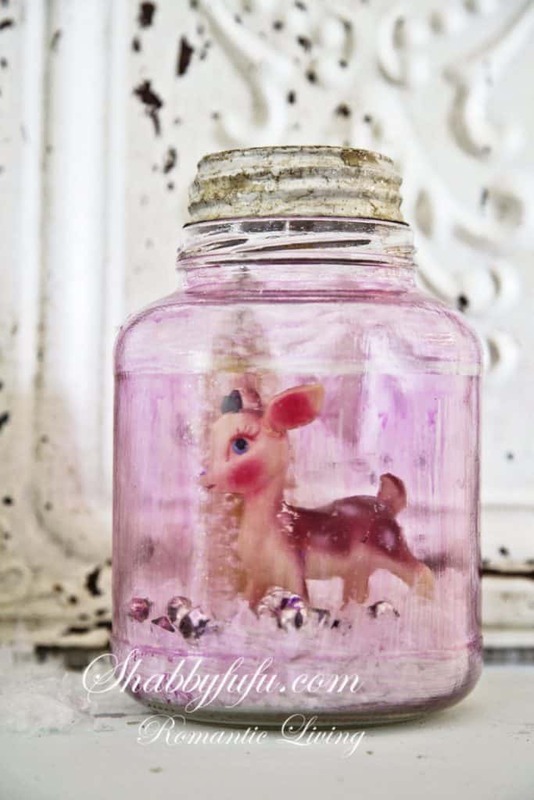 I love little Bambi in the jar. It´s adorable.